THE ORIGINAL VIRAL video has been watched by almost 90 million people on YouTube and attracted huge amounts of criticism for over-simplifying the conflict in Uganda. Now, Invisible Children, the group who created the Kony 2012 video, have released a sequel dealing with the reaction to the original half-hour video. The 20 minute video called Kony 2012: Part II – Beyond Famous looks at the work being done on the ground in Uganda by local groups as well as how Invisible Children are trying to use the viral hit to translate into action. Email “Video: Invisible Children release sequel video to Kony 2012”. 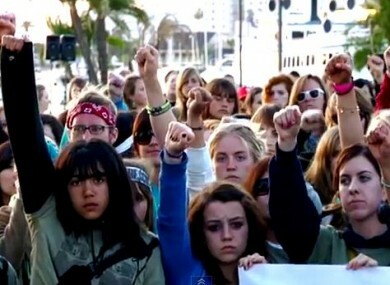 Feedback on “Video: Invisible Children release sequel video to Kony 2012”.